Is Franciacorta’s time finally arriving? 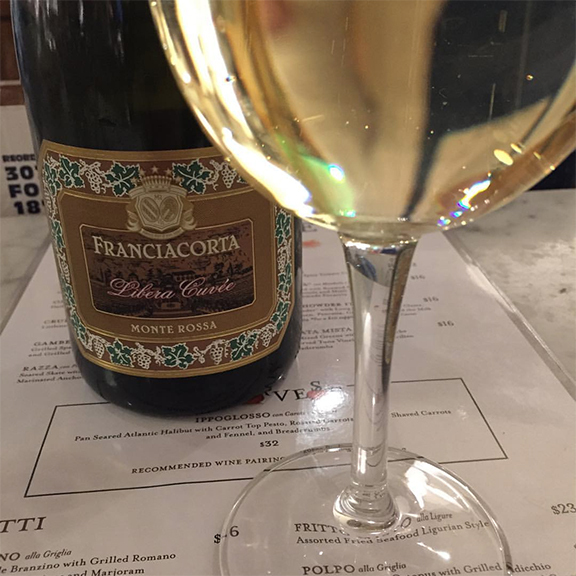 In a series of meetings yesterday with the Franciacorta consortium’s powers-that-be in Manhattan, all agreed that the appellation is making great progress in terms of visibility and awareness in the U.S. market. But there’s no doubt — all concurred, myself included — that the wines have a long road ahead of them before they achieve the type of brand recognition enjoyed by wines like Barolo or Brunello. Even in the face of the challenges that Franciacorta faces in making its way into the hearts and glasses of American consumers, one sign of progress came in the form of a suggestion by a waiter at the seafood bar at Bastianich and Batali’s Eataly in New York — the highest-profile venue for Italian food and wine in the U.S. today. It may seem like a trifle. But in my mind, at least, it’s pretty impressive that a young restaurant professional like him would be so excited about Franciacorta. When he brought me the wine, he told me it was a blend of Chardonnay and Pinot Blanc (I believe it has some Pinot Noir in it, too). It was a Wednesday night when I visited and the place was slammed with business.